A parent taking their child on holiday or returning to their country of origin without the consent of the other parent and any other holders of Parental Responsibility Agreements may be guilty of the offence of Child Abduction in the eyes of the Court. Whether your ex-partner has taken your child without your agreement, has kept your child longer than you consented to or you are just not sure whether you need permission to take your child on holiday to Euro Disney it is vital you take advice on child abduction law to make sure that your child is protected and your family doesn’t fall foul of the complicated Child Abduction laws relating to the unauthorised removal or retention of children and involving international conventions, English and foreign laws. Most parents assume that they can take their child on holiday wherever they want. That is not necessarily the case. If a parent has a Residence Order or a Child Arrangements Order saying that a child lives with them (and there are no other Court Orders preventing taking a child on foreign holidays) then they can take a child abroad on holiday for a month, without needing the other parent’s agreement. There should still be communication and consultation between parents. A lot of parents don’t have Court Orders sorting out the arrangements for their child. That means if either parent wants to take the child on holiday to a foreign country they need the other parent’s agreement or a Court Order. Most couples co-operate about holidays and see the benefits of a child spending time abroad but, if not, a court order can be applied for. Understanding child relocation law is really helpful in these cases. Court orders can take time to organise so it is always sensible to plan holidays in advance and to talk to your ex-partner about your plans and agree to provide flight details so they don’t worry and give their agreement. That should also encourage them to give you the same information when they plan their holiday and book flights. Some parents worry about their child being kept abroad, after a holiday. That can be especially relevant when there are family connections to a foreign country. This can be grounds to object to a holiday or for a Court to put special safeguards in place to ensure that the child returns at the end of their holiday, either by agreement or the Court making a Prohibited Steps Order. Nowadays many families have different surnames and so travel paperwork can be in a variety of different names. This can flag up to officials that parental consent to take a child abroad may be needed. If you are travelling to another country with a child and you’re not the child’s parent or you have different surnames you may need to bring extra documents with you to establish your relationship. Carrying evidence of your relationship with the child and documents explaining the reason for travelling isn’t compulsory but can help avoid delay and questions. According to the Home Office evidence can include a copy of the birth or adoption certificate showing your relationship with the child or a letter from the child’s parents with contact details and giving consent for the child to travel with you. It may be sensible to speak to the airline that you’re flying with the seek advice about their specific rules. If you are interested in finding out more about this issue, read our latest blog. Separating families with connections to more than the one country often face the dilemma of should one parent take the child ‘home’ or should the parent and child stay in England? Often the immediate reaction when a couple are separating is for one parent to want to return home to their country of origin with their child. The other parent then has the dilemma of deciding whether to agree to the move or object. If a parent decides to go ‘home’ without the agreement of the other parent or permission from a Court a parent may commit the criminal offence of Child Abduction. Advice from a child abduction solicitor is essential before a move is made. Why? Take the case of an American mum and dad and their child, all three are USA citizens but the family has lived and worked in England for the last 10 years. Despite all the family being American if one parent takes the child back to the States that parent runs the risk of Child Abduction law charges unless they get the other parent’s agreement to them taking the child to America or an English Court Order. That is because legally the family is classed as being ‘habitually resident’ in England. There are a whole host of reasons for wanting to relocate abroad with a child, such as a parent wanting to move abroad with their new partner, the commitment of a new job or to move for lifestyle reasons. There is equally an array of countries to choose from within Europe, the States, the Middle East, Australia or New Zealand. Whatever country and continent a parent wants to move to with a child they will need the agreement of all holders of Parental Responsibility or the permission of the Court. If they don’t get agreement they will fall foul of child abduction law. Detailed plans for housing, schooling, and contact arrangements with the left behind parent and extended family will need to be thought through. A parent who wants to leave with their child needs to start to put a very coherent plan in place to get the other parent’s agreement or a Court Order. So if you or your ex-partner is thinking about leaving England with your child then the first step is to think carefully about your plans and strategy. Rushing in and saying you are leaving or objecting to a permanent move may be understandable but it can be counterproductive. Whether you are the parent wanting to take your child abroad or the parent who opposes the move, choosing the right strategy and child abduction law solicitor you are comfortable working with has a big impact on the chances of success. Evolve’s child abduction solicitors help parents whose children have been abducted and the parents who have removed their children without the necessary consent. Evolve’s child abduction solicitors recognise that applications to move abroad are not straight forward. The parent who wants to move abroad with a child faces the prospect of their plans being fought and being made to remain in the country that they no longer wish to be in. The potential left behind parent faces the prospect of their child living in another country, or even continent, far away, and not being able to play the same part in their life. The team at Evolve also know that parents have many questions and worries .We offer approachable sensitive child abduction law advice tailored to your individual circumstances. Who can object to a child’s move abroad? If the other parent has Parental Responsibility for your child you will need their consent or permission of the Court. A mother of a child always has parental responsibility. The child’s father will also have parental responsibility if the parents were married when the child was born or if the father is named on the birth certificate provided the child was born after 1 December 2003. Can a parent move abroad with a child while waiting for the Court decision? A parent can’t take a child abroad without the consent of the other parent or permission of the Court even if the parent has applied to the Court for permission or is intending to do so. Taking a child abroad in advance of a Court hearing will really undermine the chances of succeeding in a Court application for permission and could amount to a breach of child abduction law. How long do Court applications take? The Court process can take quite a long time. That is down to the speed that the Court operates at. There are normally at least 2 Court hearings and sometimes the Court will ask for an independent report from a Child and Family Court Officer. Usually a minimum of six months may be needed and sometimes longer. The process can sometimes be completed more quickly if there is a deadline (such as a start date for a new job or the start of the new school year) and the Court can give an early hearing date. As Court timetables can’t be guaranteed it is always as well to plan in advance. There is no minimum notice period required but if a lot of notice of plans is given it gives time for the other parent and extended family to think about the plans to move and gives time to discuss how they can continue to see the child. What do I need to show to get the Court permission? You will need to lodge an application to briefly explain what you would like the Court to order. The Court is also likely to ask you and the other parent to prepare statements setting out, in more detail, what the plans are. The intended move therefore needs to be thoroughly and carefully prepared it is a lot better to have considered plans before you actually apply to the Court. You will need to be able to show that the intended move abroad is well thought out and is in the child’s best interest and say how you anticipate the parent being left behind will be able to spend time with the child. How do we sort out school holidays? If you do get the other parent’s agreement to move abroad with the child or a Court Order then often the agreement or order is based on the other parent being able to spend time with the child, including Skype and Face time, but also spending time in England so the child can see extended family, such as grandparents or cousins or old school friends, some of whom may not be physically able to travel or be a position to afford the trip. 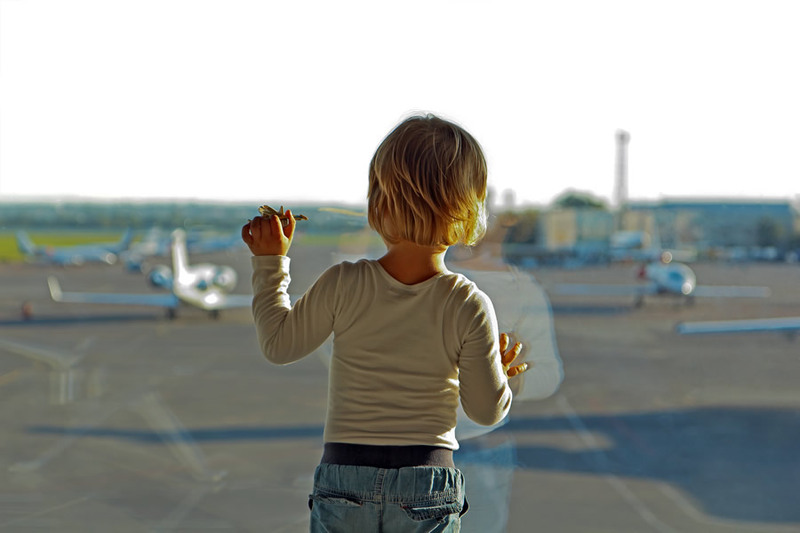 The likelihood is that the child will spend more of their holidays with the other parent than would have been the case if all the family stayed in England, but the left behind parent won’t be able to see the child during school term unless the move is within a relatively short flight and long weekends can be enjoyed. This is the sort of thing that would need to be considered and addressed as part of the process of obtaining the permission of the Court to relocate. The Court is likely to want to ensure that the children get to spend holiday time with the other parent. What happens if Court permission is refused? Many parents assume that the Court is deciding whether or not they can move abroad. Although the Court process may feel like that the Court has only got the power to make decisions about the child. If the Court refuses permission the parent can leave and decisions then have to be taken about how often the child can see the parent who is moving abroad, the reverse to what would have happened if the Court had given permission. In most families if one parent is not given permission to move abroad with the child, they shelve their plans and stay in England. A parent who feels that their life plans have been thwarted can then feel very upset with the other parent or extended family who objected to the move. 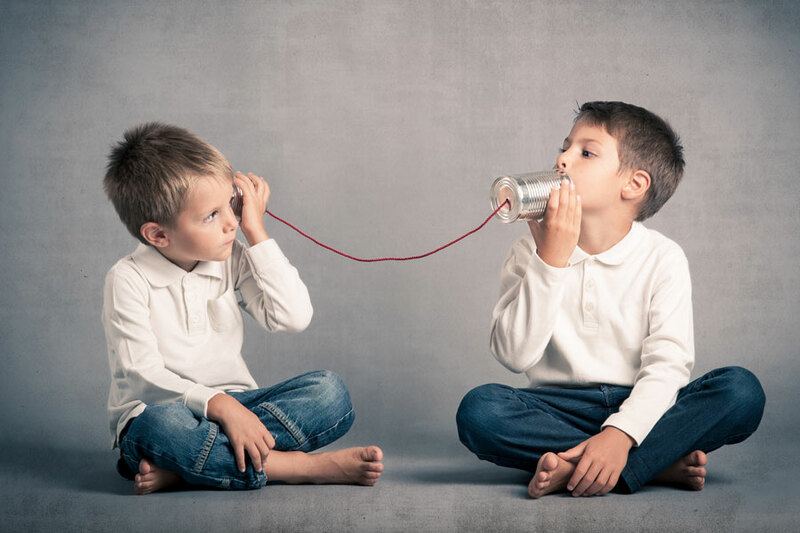 That is why it is important that if you do object to a move the lines of communication stay open and the objection is framed in a very child focussed way. If a parent is refused permission to leave England with their child then they can make another Court application at a later date. To avoid having to make another Court application it is vital that any application to relocate abroad is very carefully prepared and presented. The Court gave permission for the child to leave, how do I get my contact? The Court will normally make a Child Arrangements Order covering the permission to allow one parent to move abroad and the parenting or contact arrangements. These types of Order can be quite detailed and can include, for example, the frequency of Skype contact, whether the child can fly unaccompanied, etc. The Court can also direct that a ‘Mirror Order’ is obtained in the country that the child is moving to. This is to ensure that if contact does not take place the Mirror Order can be enforced. Any agreed arrangements for contact or Court Orders can be changed by agreement or further Court Order as family circumstances can change or a child’s needs and wishes may alter over time. International parental Child Abduction is when a parent of a child wrongfully removes that child from the country where they had been living previously and another individual possesses rights of custody in relation to that child. Rights of custody depend on the law in the child’s country and how the Courts interpret the child abduction law. This can have different definitions in different countries. A right to contact alone does not provide someone with rights of custody in relation to that child. In England rights of custody can be obtained if a person has had no formal defined rights of custody but has had care and control of the child. My child has been taken abroad. What can I do? Prompt action must be taken to maximise the chances of a swift return to this country. You will need specialist, speedy determined child abduction law experts. A number of countries (currently 98 countries including the United Kingdom) have signed up to a treaty called the 1980 Hague Convention on the Civil Aspects of Child Abduction. The Hague Convention aims to return children to the country that they have been taken from as quickly as possible. There are limited circumstances where the Court may refuse to return the child to their original country. The Court will decide whether or not the child should return to the country he or she was taken from. If the child is returned the Court in that country will then decide the parenting arrangements for the child if the parents can’t agree. I believe my child is at risk of abduction or being moved abroad without my agreement. What can I do? There are legal steps that can be initiated quickly if you believe there is a risk that your child may be removed from the country. There are safeguards the Court can put in place to prevent child abductions from happening. These can include emergency Court applications for a Specific Issue Order or a Prohibited Steps Order to prohibit a child being taken out of England. The Court can also order a Port Alert and order that the Court or a solicitor should retain the child’s passport. If you fear that abduction may be about to take place speed is of the essence to try and prevent the child’s removal. With international travel being common place and opportunities to live and work abroad now freely available families are more internationally diverse. When separated parents want to live in different countries following separation, parents often find it hard to agree where their child should live. Whatever the agreement reached or the decision of the Court the parents will remain the parents and will need to be able to communicate with one another for the sake of their child. Our child abduction law specialist solicitor, Louise Halford has many years of city centre experience in helping parents sort out the parenting arrangements for their family, including helping parents who want to move abroad, those objecting to a move or parents who are worried about their rights or are concerned at the thought of Child Abduction. Louise has a reputation for being approachable and going the extra mile for her clients and being an expert in children law. Louise works with a number of child specialists and with a substantial amount of Evolve’s work being international in nature we also regularly work with foreign lawyers to achieve the best outcomes for you and your family. Get touch in today to see how we can help you.